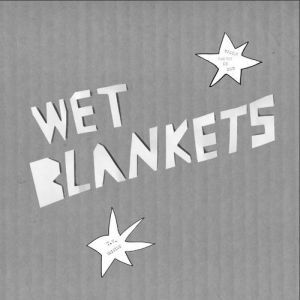 WET BLANKETS is one of the newest bands from down under in Geelong, Australia. Goodbye Boozy Records in Italy brings us their first 7″ Dieter Caught My Bus, released as part of their first wave of records in 2014. Let’s face it: It’s almost impossible to cover a Goodbye Boozy Record before it sells out. Pressings are extremely limited, meaning these things always go fast. The best way to avoid that empty-handed feeling is simply by looking for updates via Facebook or checking the buy links we’ve left below. This batch seemed to go particularly quick, highlighting a slew of bands from the ever-impressive scene down in Geelong, including the Frowning Clouds, Ausmuteants, and Hierophants. For the Wet Blankets, Dieter Caught My Bus is their debut release. The band shares members with practically every other band we’ve covered from the area, whether it’s the Living Eyes, Ausmuteants, or the Frowning Clouds. There’s almost so much going on we’re losing track, but keeping up with them is all part of the fun. On their 7″ they leave us with two fuzz-soaked cuts of caffeinated garage punk. “Dieter Caught My Bus” is centered around a driving rhythm, made up of jagged punk hooks and scuzzy, spoken-word vocals. Guitars sound concentrated and wiry, blowing through anything in their path. “TV Suicide” opens with an added dosage of guitar fuzz, coming on like a trashy can-opener with an anthemic chorus. Hear it right below along with “Dieter Caught My Bus” right now. 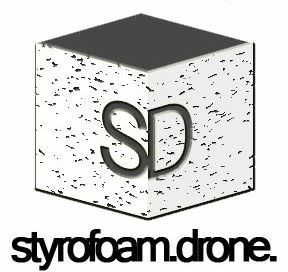 Posted on March 11, 2014 March 11, 2014 by styrofoamdronePosted in 7", Reviews, Still Spinnin'Tagged garage rock, Goodbye Boozy Records, Lo-Fi, punk, Wet Blankets. Ah my fault, but thanks for noticing! Will fix asap. Fixed! You can listen to the A-side now!